A beautifully written, theologically astute Advent study that focuses on the story of Zechariah and Elizabeth. 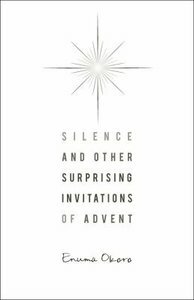 About "Silence and Other Surprising Invitations of Advent"
Enuma Okoro was born in the United States and raised in Nigeria, Ivory Coast, and England. She holds a Master of Divinity degree from Duke Divinity School where she served as Director for the Center for Theological Writing. Currently, she is a writer, speaker, and workshop/retreat leader. The author of Reluctant Pilgrim, Enuma lives in Raleigh, North Carolina. http: //reluctantpilgrim.wordpress.com.